Harris was speaking after the clinical director of the programme stepped down. HEALTH MINISTER SIMON Harris has said that he does not know how many women have died as a result of the cervical screening controversy. Speaking this afternoon on RTÉ’s The Week in Politics, Harris said he would learn tomorrow if all of the women affected by failures in the National Cervical Screening programme had been told. On Thursday the HSE said that since 2008, a total 1,482 cases of cervical cancer have been notified to the CervicalCheck programme. In 442 cases, a review was warranted and of those cases, 206 cytology reviews suggested a different result that would have recommended an investigation to occur at an earlier stage. The issues with the cancer screening programme came into focus this week after they were highlighted in a court case taken by Vicki Phelan over a missed abnormality in a smear test in 2011. When she returned for a routine smear test three years later in 2014, she was told she had cervical cancer. After a number of tests, she was told she had between six and 12 months to live. The 42-year-old mother-of-two was awarded €2.5 million. The Sunday Independent today reports that Phelan was told her case was one of ten audited in 2014. “I asked were any women who had been included in the audit…had any of them died. I was told three,” she said. A helpline was in operation Friday, yesterday and today for women to ring in relation to concerns about past cervical checks. 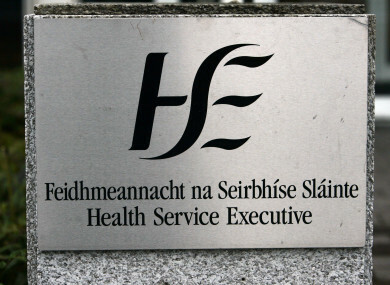 In a statement this evening, the HSE said that as of 1:30pm there were 614 contacts to the helpline. “By close of business today it is expected that over 2,000 calls will have been taken by the helpline,” the HSE said. It also said that the review of the 206 cases was “challenging” but that it was expected that it would be completed for the most part by tomorrow. The HSE said that it would then contact the women concerned over the course of tomorrow to liaise with them on the findings of the review. Yesterday evening, the clinical director of Cervical Check, Dr Gráinne Flannelly, informed the HSE that she is to stand aside from her position. “I am sorry that recent events caused distress and worry to women. I have decided to step aside to allow the programme to continue it’s important work. The HSE said it wished to acknowledge Professor Flannelly and to formally thank her for “the enormous dedication, contribution and expert knowledge” that she brought to the CervicalCheck Programme over the past 12 years. “During this time she has helped to introduce a programme that has saved the lives of countless women in Ireland through screening and early intervention and who would otherwise have died from cervical cancer,” it said. The HSE said the international peer review, agreed with Minister Simon Harris during this week, will determine any learnings and opportunities for improvement within the CervicalCheck Programme. The HSE is confident that, in keeping with the usual principles of natural justice, the Minister would expect that this peer review would be completed and appropriate procedures followed before there is any judgement passed on the role of the clinical and managerial leadership of the programme. Any improvements will be prioritised for implementation in order to maintain confidence in the service. In advance of the peer review being completed it is considered essential that the remainder of the leadership team of the programme remain in situ. “In the interests of meeting the needs of the women who rely on the CervicalCheck Programme, the HSE acknowledges that the programme’s leadership is completely focused on working as part of the HSE’s Serious Incident Management Team to address the current concerns,” it added. The Health Minister said yesterday that arrangements are now being put in place for any woman who has had a smear test, but who would like a repeat test to reassure them. He said the State will meet the cost of repeat screening tests. Email “Simon Harris says he doesn't know how many women died after cervical screening issues”. Feedback on “Simon Harris says he doesn't know how many women died after cervical screening issues”.